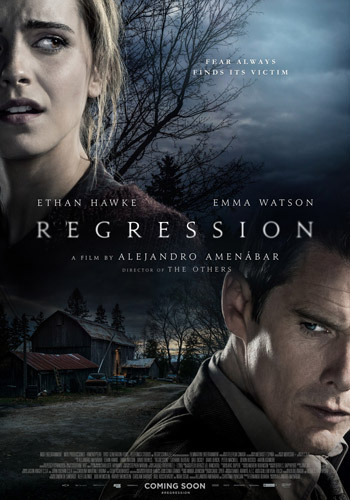 Ethan Hawke, Emma Watson and David Thewlis star in the thriller Regression. Watch the movie trailer below. A detective (Hawke) investigates a satanic abuse case in which the victim (Watson) may have repressed the traumatic memories. MPAA Rating: R for disturbing violent and sexual content, and for language.